Bologna with Student Eyes is a publication of the European Students' Union (ESU). 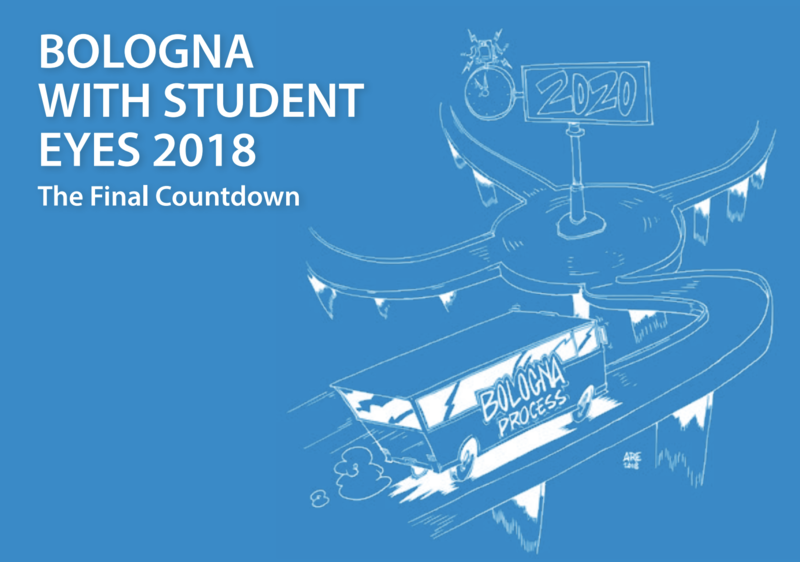 Compared to previous years where every aspect of the Bologna process was analysed from a student perspective the 2015 edition highlight some key issues for the future that are important for students. Some of the key areas for the the European Students’ Union in this edition are student-centred learning, the social dimension, recognition and the future of the Process as a whole. The aim of the publication is to highlight the current status, successes and future challenges that students see in the implementation of reforms and the Process as a whole from the students’ point of view, as the main stakeholder in higher education, thus complementing the views presented in the EHEA implementation reports and reports by other stakeholders. The data for this edition was collected by surveying ESU’s national unions of students on the following areas: student participation in governance, social dimension, quality assurance, recognition, mobility and internationalisation, structural reforms and financing of higher education. The questionnaire also included general questions about the Bologna Process and its future. In total, over 45 national unions of students from 39 countries responded the questionnaire, from Norway to Malta and Ireland to Armenia.